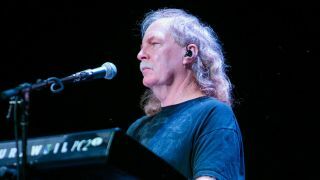 Three Dog Night keyboardist Jimmy Greenspoon has died at the age of 67 following a battle with cancer. Also known for his collaborations with Jimi Hendrix, Eric Clapton, Stephen Stills, Jeff Beck and Linda Ronstadt, he announced last year that he’d been diagnosed with metastatic melanoma, and launched an appeal to raise funds for expenses surrounding his treatment. Greenspoon said at the time: “I started having strange visions and sensations. My wife took me to the hospital where a CT Scan revealed a brain tumour. Greenspoon was a member of the band’s classic lineup and continued to work with them until illness stopped him. He helped them achieve 12 gold albums and 21 consecutive Billboard Top 40 hits in the 1960s and 70s.